The PH CellTox System 21 Day Cellular Detox Phase 1 is a complete body cellular level detoxification system to prepare the body for a complete rebuild at the cellular level. Got the Flu shot? Get those toxins out of your body fast! The main cause of Autism today is vaccine injury! This kit is specifically designed to remove the toxins an pathogens from vaccines/shots/immunizations. In our opinion, they are the most serious health threat facing us today! Did you know that one of the primary causes of disease is the slow accumulation of toxic compounds in the body, coupled with nutrient deficiencies at the cellular level? 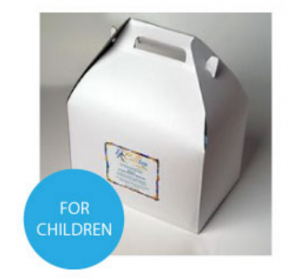 Each kit is individually formulated based on the needs of the child. Do not use for children under the age of 2 years.